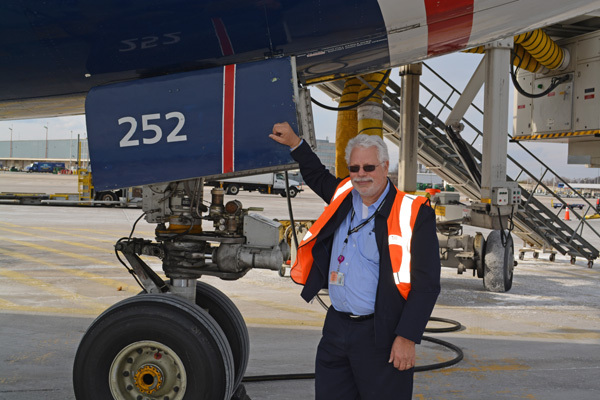 Jay writes regularly in World Airline News in his An Inside Look column. Stay tuned for more “inside” stories from Jay. During the day, Jay works for American Airlines (formerly US Airways) hub in Charlotte. The rest of the time he is either flying, photographing or writing. Are you interested in writing about your side of the industry? We are always looking for more writers to bring the full story to the readers. Please contact us if you have an idea for a column. This entry was posted in Jay Selman's An Inside Look and tagged Assistant Editor Jay Selman, Jay Selman, Jay Selman's An Inside Look on April 30, 2015 by Bruce Drum. There are pilots, and there are aviators. 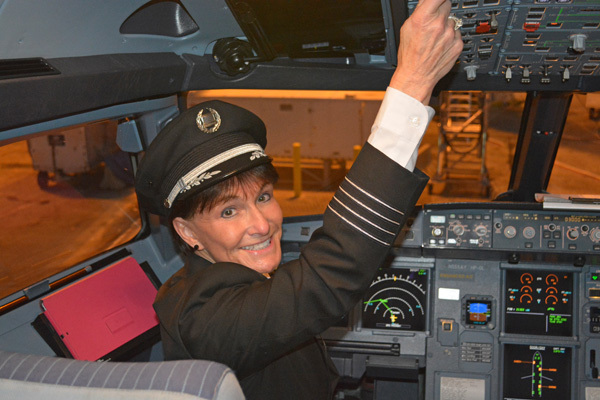 When Captain Connie Tobias shut down the engines of her Airbus A321 at the conclusion of US Airways Flight 1967 on March 17, 2015, it brought to an end one chapter in a remarkable career of a remarkable aviator. Above Photo: Jay Selman/AirlinersGallery.com. Connie Tobias in the left seat of the retirement Airbus A321. Below Photo: Jay Selman/AirlinersGallery.com. 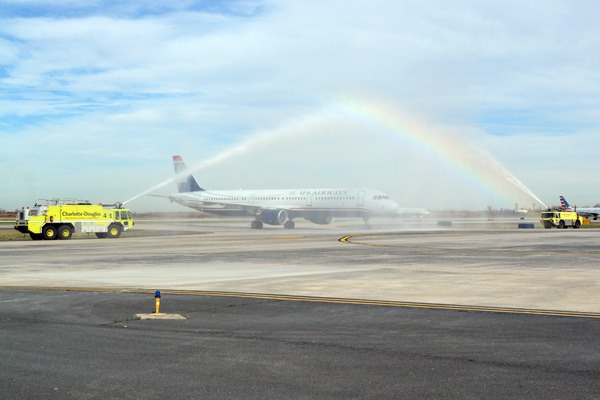 The Airbus A321 receives a congratulatory water cannon salute on arrival at Charlotte Douglas International Airport (CLT). 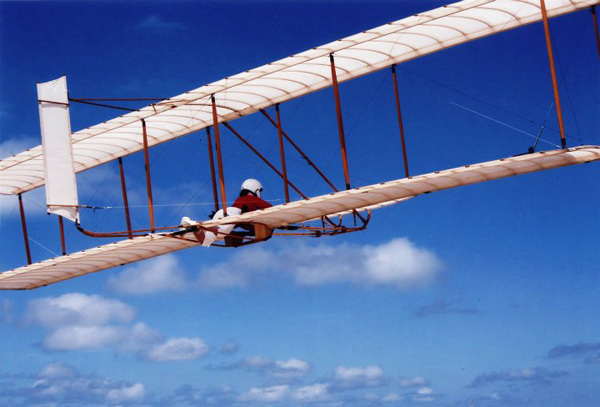 In over 40 years of flying, Connie has logged over 22,000 flight hours and flown over 70 different kinds of aircraft, ranging from a 1902 Wright Glider (below) and 1909 Bleriot (below) to the Airbus A330-300. That, in itself, would be a career to be proud of, but the career of Connie represents so much more. Connie has not lost any of the feistiness that must have been necessary to break through one barrier after another as a woman born in 1950. She reflects, “When I was a five year old girl, I was expected to play with dolls. I did…sort of. I lined them up at an imaginary airport waiting for the imaginary airplane that I was pretending to be! Even at that age, I was captivated by the lure of flight. In those days, of course, women were not expected to pursue careers as professional pilots. Above Copyright Photo: Jay Selman/AirlinersGallery.com. Aeromech Airlines Embraer EMB-110P1 Bandeirante N615KC (msn 110230) is parked at the commuter terminal gate at Washington’s National Airport in Allegheny Commuter colors in February 1980. As soon as she was checked out on the Embraer Bandierante, Connie was advised that she would have to earn an Air Transport Pilot (ATP) rating. Using pretty much the last of her meager savings, Connie passed her ATP practical with flying colors, and her written exam with an astounding 99%. Soon afterward, she learned that none of the male first officers at the airline had ATP ratings! Rather than being angry, she made up her mind that the best way to flourish in any environment was to be the happiest, most positive personality that she could be. Before long, she had built up an impressive stack of complimentary letters. While the aviation fraternity was still slow to accept her, it was apparent that the flying public loved her. Above Copyright Photo: Bruce Drum/AirlinersGallery.com. 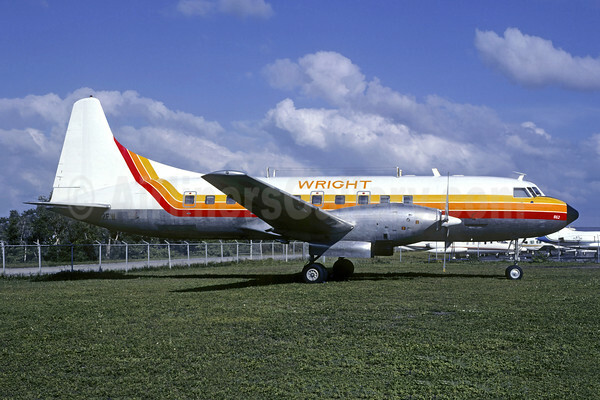 Wright Air Lines Convair 640 N862FW (msn 9) is seen in Miami on October 30, 1983. Unfortunately, the merger between Wright and Aeromech proved to be a bad marriage and before long, Connie received word that the airline was on its last legs. “First officers for regional airlines were generally earning something below poverty-level wages, and Wright was no exception. I was living paycheck to paycheck, and I knew I had to do something. I had enough money to apply to exactly one airline.” She elected to put in an application to Piedmont Airlines (1st), which was known to be actively hiring women as pilots. In mid-1984, Connie Tobias was hired by Piedmont, becoming the 16th female pilot flying for the company. 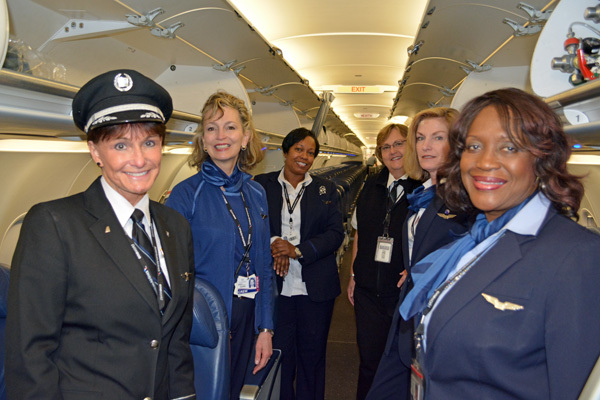 Today, by comparison, women make up approximately 5% of the US Airways pilot workforce. Above Copyright Photo: Bruce Drum/AirlinersGallery.com. Ex-Northeast Airlines/Delta Air Lines Boeing 727-295 N1643 (msn 19448) displays the 1974 livery for Piedmont. In the mid-1980s, Piedmont was growing by leaps and bounds. Connie started out as a first officer on the Boeing 727 (above), a dramatic step up from the archaic Convair. Piedmont proved to be the Land of Opportunity for Connie, and a mere 26 months later, she became a captain on the company’s Fokker F-28. In rapid succession, she graduated to captain on the twin-engine Boeing 737 and later, the larger tri-jet Boeing 727. In 1989, Piedmont merged with USAir, later US Airways. As the airline added larger aircraft, Connie made a decision to trade in her low-seniority captain’s seat in exchange for a more comfortable lifestyle of a high-seniority first officer. Connie was able to hold a position in the right seat on the transcontinental Boeing 757 (below) and intercontinental wide-body Boeing 767. She later became a first officer on the largest and longest-range aircraft in the US Airways fleet, the Airbus A330. By all measures, Connie had beaten the odds and broken through the glass ceiling, achieving success in a field that had been considered a male world when she began her journey. Above Copyright Photo: Bruce Drum/AirlinersGallery.com. 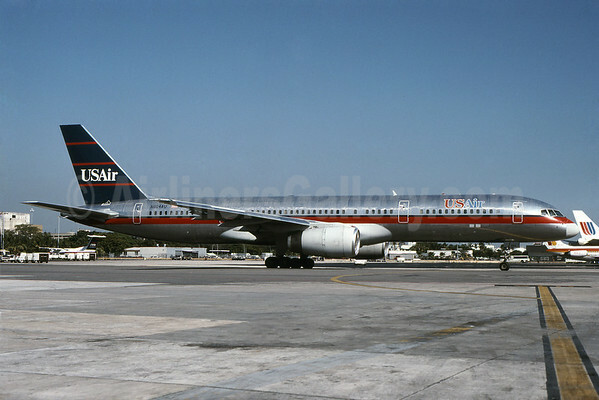 USAir’s ex-Eastern Boeing 757-225 N604AU (msn 22199) taxies at Miami in the 1989 livery. Connie took on the greatest battle of her life with the same tenacity as she faced other challenges. 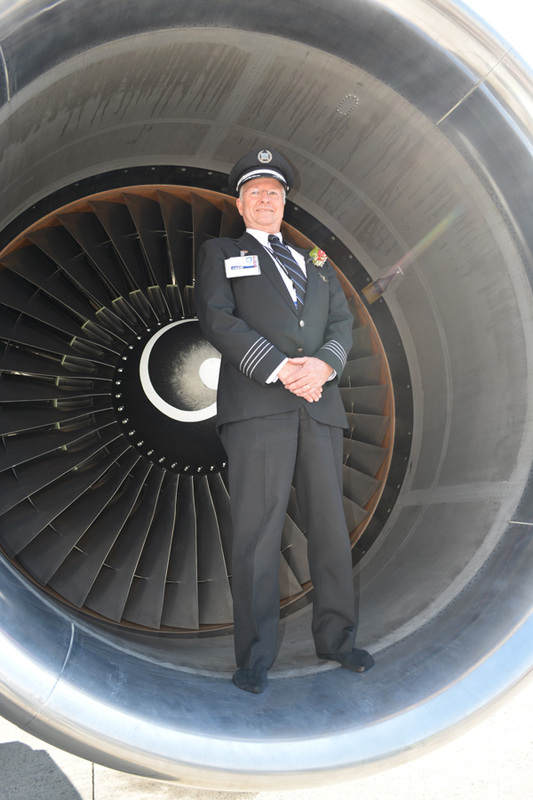 “I was determined to finish my airline career in the cockpit, and not in a hospital bed. To that end, over the course of six years, I required the services of 19 doctors, and was put under anesthesia ten times. This was the biggest battle of them all in my career, and my life.” But Connie has never been one to accept “No” for an answer, and in typical fashion, she fought back. First, she literally clawed her way back into a healthy body. Once that was accomplished, she worked unceasingly to bring her flying skills back up to speed. Above Copyright Photo: Bruce Drum/AirlinersGallery.com. Airbus A319-112 N765US (msn 1371) painted in the 1997 color scheme departs the runway at Charlotte. Finally, in 2013, she was restored to flying status with US Airways, on the Airbus A320 family (above). After being off flying status for six years, she was required to fly in the right seat for six months, but in July of 2014, Connie Tobias once again earned the right to wear the four stripes of a captain on the Airbus. It started with Foundation founder Bob Collings running into Connie one day and remarking, “You know, you look like Harriet Quimby. Will you portray her and, while you are at it, learn to fly the Bleriot?” Quimby was an award-winning photojournalist as well as a movie screenwriter who was also interested in aviation. On August 1, 1911, she became the first woman to earn a pilot’s license in the United States. The following year, she became the first female to fly across the English Channel. There is a saying that it is a lucky man who hears opportunity knock, but it is a wise man who opens the door. Obviously, the same applies to a woman, and Connie Tobias proved to be an extremely wise woman who opened the door that led to her parallel career and unique claim to fame. She took Bob Collings’ suggestion and developed a presentation of the life and accomplishments of Harriet Quimby, which she has performed for audiences around the world. Flying the Bleriot required intense preparation. 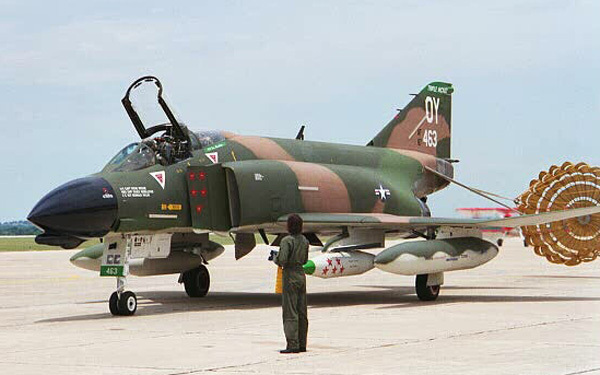 Connie relates, “One day, I was watching the movie ‘Those Magnificent Men and Their Flying Machines’. As the movie concluded, I realized that all of the pilots had one thing in common. They all crashed. 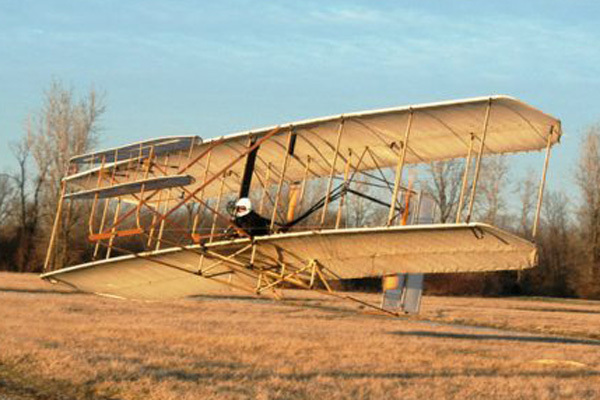 It was a stark reminder that those early airplanes were very crude in their design, and extremely delicate to fly. I wanted to fly the Bleriot, but I wanted to make darned sure that I was successful. I spoke to the folks at the Old Rhinebeck Aerodrome, home to a number of pre-World War I airplanes including another 1909 Bleriot. 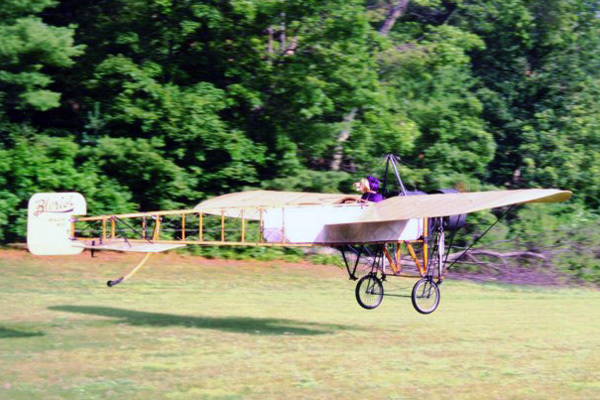 The Bleriot guru at Old Rhinebeck suggested that I contact another expert in Texas, and I kept following one lead after another, taking in as much as I could about flying an aircraft that was controlled by powered wing warping. Wing warping was a system for lateral control of early aircraft, and basically a precursor to the aileron.” Connie even referred to Louis Bleriot’s writings in her quest to understand everything she could about the Bleriot and wing warping. In the end, she did, indeed, fly the Bleriot, and she flew it well. 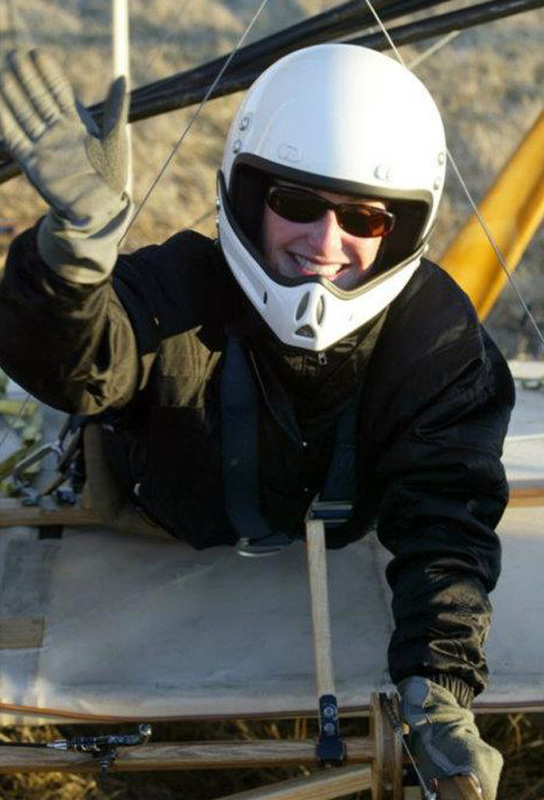 Connie’s commitment to inspiring students with Quimby’s story along with her involvement in flying the 1903 Wright Flyer and 1909 Bleriot has won her special recognition from The National Aeronautic Association and the National Aviation Hall of Fame. Connie has appeared in numerous documentaries, is a Distinguished Graduate of Engineering, holds the Medal of Merit from Ohio University, and has been inducted into the Amelia Earhart Forest of Friendship. She has been generous in her donations to a cause near and dear to her heart, a scholarship fund at her alma mater, Ohio University. The scholarship assists young men and women in pursuit of a career in aviation. She says, “I remember what it was like trying to break into the aviation world with an empty bank account. There were several times early in my career when I was literally down to my last few dollars. If I can help young men or women avoid some of the financial struggles that I went through, I am happy to do so.” This scholarship is appropriately named The Harriet Quimby Scholarship. Above Copyright Photo: Jay Selman/AirlinersGallery.com. Connie poses with the cabin crew on her last flight with US Airways. Free time? What free time? We can all learn from the life of Connie Tobias. US Airways is losing a senior captain, but aviation is not. No way. Copyright Photo Below: Jay Selman/AirlinersGallery.com. 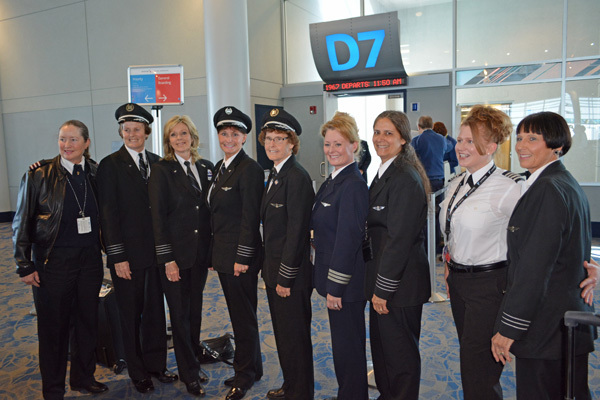 Fellow female pilots come to salute Connie on her last airline flight and her arrival at gate D7 at Charlotte. This entry was posted in Jay Selman's An Inside Look and tagged 110230, 1371, 19448, 22199, 727, 727-200, 727-295, 757, 757-200, 757-225, 9, A319, A319-100, A319-112, Aeromech Airlines, Airbus, Airbus A319, Airbus A319-100, Allegheny Commuter, Assistant Editor Jay Selman, Bandeirante, Bleriot, Boeing, Boeing 727, Boeing 727-200, Boeing 757, Boeing 757-200, Charlotte, CLT, Connie Tobias, Convair, Convair 640, CV640, DCA, EMB-110, EMB-110P1, Embraer, Embraer EMB-110, Embraer EMB-110P1, Embraer EMB-110P1 Bandeirante, Harriet Quimby, Jay Selman, Jay Selman's An Inside Look, MIA, Miami, N1643, N604AU, N615KC, N765US, N862FW, National, National Airport, Piedmont Airlines (1st), US Airways, USAir, Washington, Wright Airlines, Wright Glider on March 20, 2015 by Bruce Drum. February 12, 2015 marked another end of an era at US Airways, as the company retired its last Boeing 767-200. While the airline was quick to point out that its merger partner, American Airlines, operates nearly 60 of the larger 767-300s, the final flight of the 767-200 represented the end of an era for US Airways. 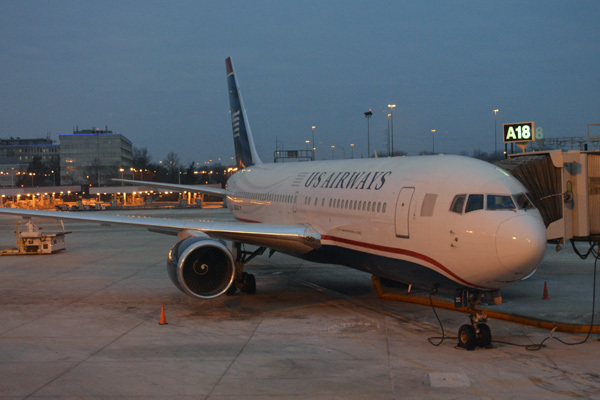 Following the general success of flight US 737, marking the retirement of the company’s last 737 Classic in August 2014, US Airways repeated the act with flight US 767, which operated from Philadelphia to Charlotte, and back to PHL. The 767 entered the US Airways inventory through the merger with Piedmont Airlines in 1989. Piedmont received its first Boeing 767 on May 21st, 1987, shortly after the merger with USAir was announced. N603P was used to inaugurate the carrier’s first intercontinental service, between Charlotte North Carolina and London’s Gatwick Airport. 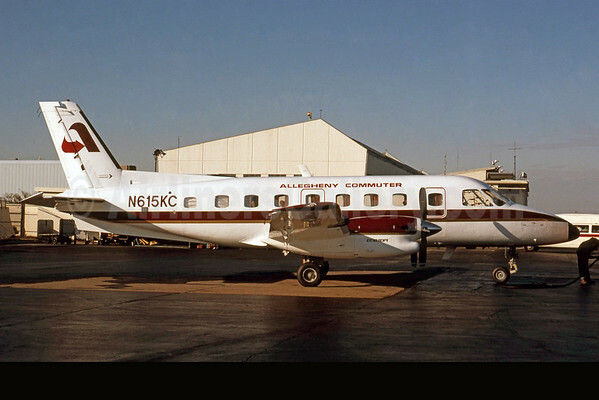 Piedmont ordered six of the type initially, and after merging with USAir, another six were added to the fleet. Eventually, the 767s were used by US Airways in virtually all of its intercontinental markets. The 767 had the range to fly from Charlotte to Rome, Sao Paulo, and even Honolulu. Its common type rating with the 757 allowed the company to better utilize its pilots. The Boeing 767 first went into service in 1982. It was the manufacturer’s first wide-body twin engine aircraft and was ground-breaking in several aspects. The 767 was the first Boeing wide-body to be designed with a two-crew digital glass cockpit. Cathode ray tube (CRT) color displays and new electronics replaced the role of the flight engineer by enabling the pilot and co-pilot to monitor aircraft systems directly. (A three-crew cockpit remained as an option and was fitted to the first production models. Ansett Australia ordered 767s with three-crew cockpits due to union demands; it was the only airline to operate 767s so configured.) Development of the 767 occurred in tandem with a narrow-body twinjet, the 757, resulting in shared design features which allow pilots to obtain a common type rating to operate both aircraft. The 767 was initially flown on domestic and transcontinental routes, during which it demonstrated the reliability of its twinjet design. In 1985, the 767 became the first twin-engine airliner to receive regulatory approval for extended overwater flights. The aircraft was then used to expand non-stop service on medium- to long-haul intercontinental routes. Today, thanks to the concept proven by the ground-breaking 767, over 90% of the intercontinental airline flights are operated by twin engine aircraft flown by a two-pilot crew. 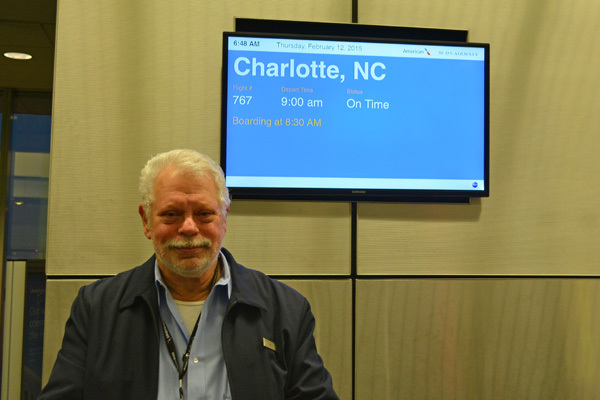 Above Photo: Assistant Editor Jay Selman prepares to depart on flight 767 on February 12 from Philadelphia bound for Charlotte. Above Photo: Jay Selman. The morning departure of flight 767 from Philadelphia. 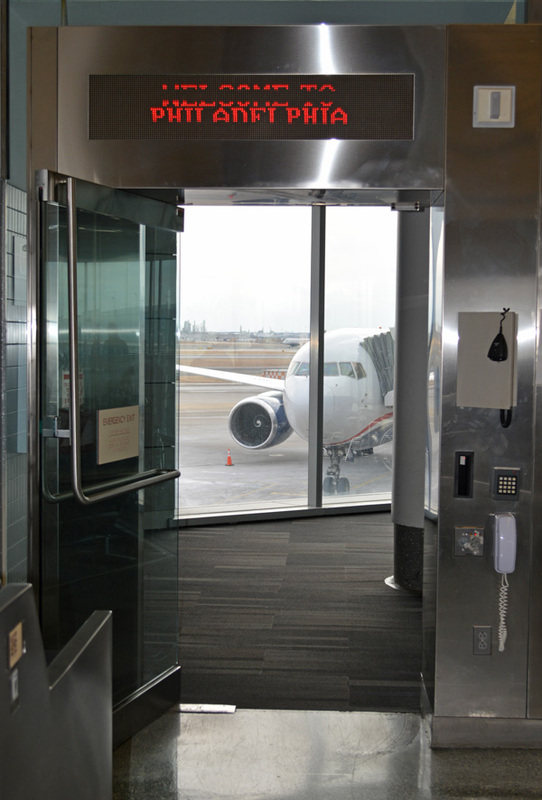 There was a low-keyed celebration at the gate in PHL prior to departure of US 767. 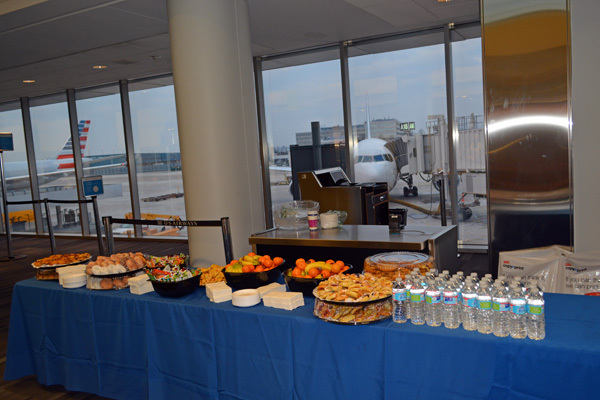 Breakfast pastries were served and the gate agent boarding the flight made a short announcement explaining the significance of flight 767. We pushed back from gate A18 in PHL at 8:55 am, five minutes early (below). 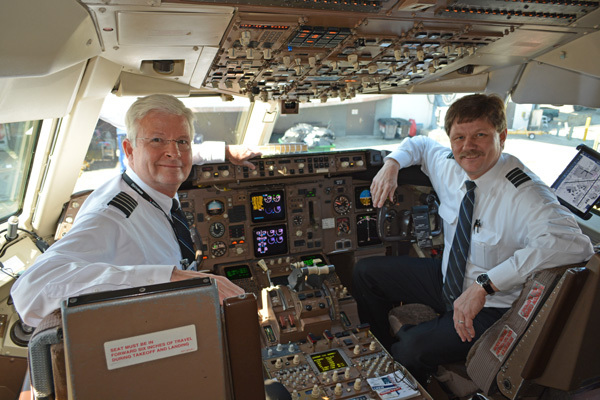 At the controls were PHL-based Captain Scott Lesh (above) and First Officer John Hyde (below). Above Photo: Jay Selman. Captain Scott Lesh and First Officer John Hyde in the cockpit of N252AU for the final day of revenue flights. Flying “shotgun” in the flight deck jump seat was First Officer Jim Zazas (below). Jim and I go back a long way, and he is one of those guys we call an “Aviator” with a Capital A. He was in the second 767 class with Piedmont in 1987, and has been on the 757/767 ever since. In his spare time, he flies just about anything with a propeller, especially if it has the classification “Warbird.” From B-17 to P-51, Jim has probably flown it. His latest accomplishment was to get himself checked out in The Tinker Belle, the C-46 based in Monroe, NC. For Jim, this was a farewell to his favorite jet airliner. Above Photo: Jay Selman. 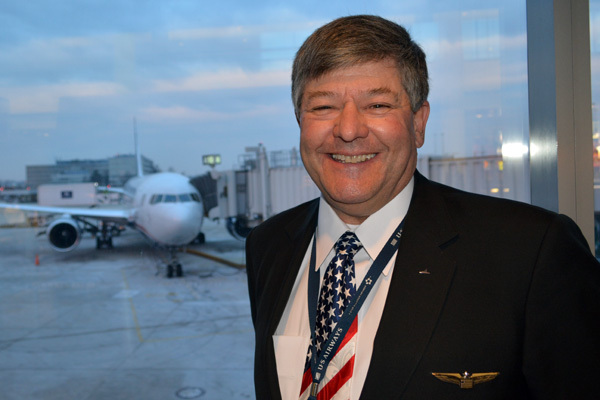 US Airways First Officer Jim Zazas. I found it interesting that the flight was basically an extra section, added to the flight schedule approximately one month earlier, yet we departed PHL with every single seat filled. There were a significant number of aviation enthusiasts on board, but for the majority of the passengers, this was merely one more flight from Point A to Point B. The flight was operated by N252AU, a 767-2B7 ER, msn 24765. 252 was originally delivered to USAir as N652US on May 25, 1990. It was the 308th production 767. From November 1993 until April of 1996, this aircraft was used on a wet lease program on behalf of British Airways, and flew in the British carrier’s colors during that time. 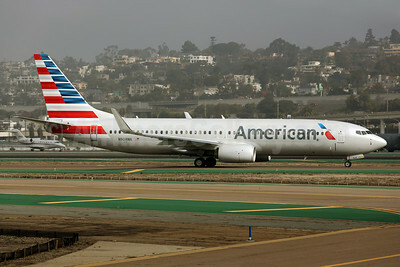 Following the merger between US Airways and America West Airlines, the aircraft received its current registration. Video: Jay Selman. The departure of N252AU from Philadelphia on the last day. 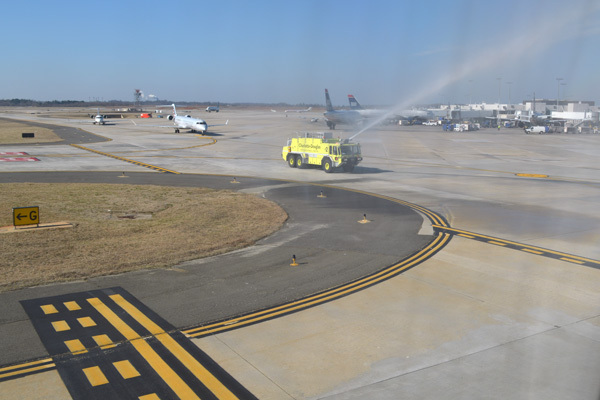 Our flight to Charlotte was uneventful, and following a well-deserved water cannon salute (above), we arrived at Gate D2 a little past 10:44 am. 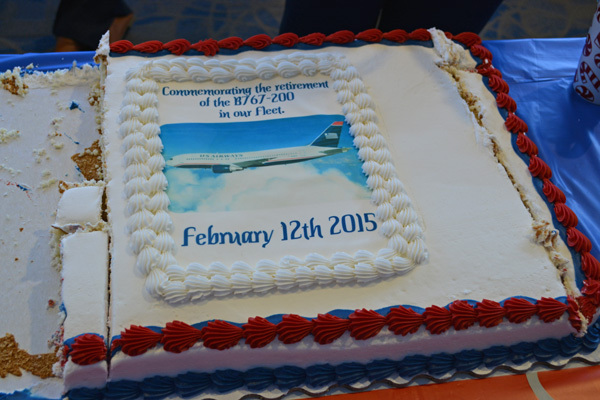 There, the company presented two cakes, decorated in blue and white, commemorating the retirement of the 767-200 (below). Above Photo: Jay Selman. 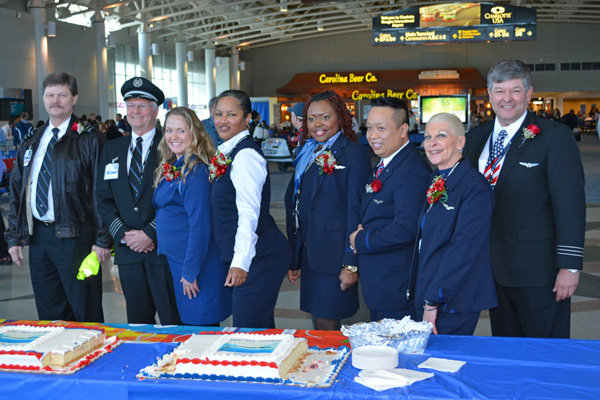 The crew of flight 767 poses with the two special cakes at the Charlotte turnaround. During the nearly two-hour turnaround, I had a chance to chat with the lead Flight Attendant, Ellie Zalesky. Ellie told me that she began her career with Mohawk. “I’ve worked every airplane from the FH-227 to the A330, and the 767 was my favorite, hands down. I’m really going to miss her.” We had a chance to snap some souvenir photos prior to the final scheduled flight, and then it was time to head back to PHL. Above Photo: The crew of flight US 767 poses with Boeing 767-2B7 ER N252AU on the ramp at Charlotte during the turnaround. The return flight of US 767 pushed away from the gate in Charlotte at 12:27. It was markedly different from the first leg. The plane was less than 1/3 full, and this time, the majority of the passengers were hard-core enthusiasts and airline employees, much to the curiosity of the few “regular passengers” on board. 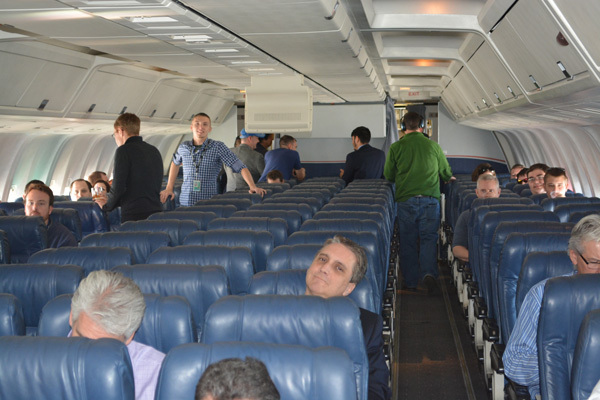 There was a party atmosphere in flight, as we took time to enjoy the final flight of the 767-200. The flight attendants were surprised by the “enthusiast culture”, but quickly warmed to the occasion. Captain Lesh made a long announcement regarding the last flight of the 767-200, and its significance to US Airways, and commercial aviation. Above Photo: Jay Selman. The cabin of N252AU. I also had a chance to talk to another old friend, Bruce Clarke, who retired as a Captain on the 757/767. Of the 767, Bruce waxed poetic, “I don’t think that Boeing has ever built a sweeter airliner. She never put me into a situation that I could not easily get out of. With a service ceiling of 41,000 ft, we could get above a lot of weather…and other traffic.” (Shortly before he mentioned that, I looked out the window and noticed a CRJ900 cruising a few thousand feet below us). Clarke continues, “The CF6 engines put out plenty of power so even at max takeoff weight of 395,000 lbs, the 767-200 ER climbs effortlessly. The 767 has inboard and outboard ailerons, which gives her incredible agility. She is a very stable platform and cuts through turbulence like a knife through soft butter. I’ve flown the 707, 727. 737, 757, and 767, and the 767 was by far my favorite.” Clearly, everyone I spoke with who had flown or worked the 767 loves her. Above Photo: Jay Selman. Back at PHL once again. We arrived back at the gate in PHL at 13:46, about 20 minutes early. Most of us were in no rush to deplane. Instead, we lingered for just another few minutes, savoring what will probably, for most of us, be our last moments on a 767-200. After all, as US Airways removes its last 767 from the fleet, its merger partner, American Airlines, prepares to introduce the 787 into service. The crew patiently stayed onboard to pose for final photos, answer final questions, and perhaps absorb those last few moments on the aircraft they love. When Captain Lesh shut down the CF6s, N252AU had logged 100,813.48 hours, and amassed 18663 cycles, relatively few for today’s jet airliners. The airframe has plenty of life left in her, and, while nothing has been officially announced, there is an excellent chance that the 767 will be “re-purposed” in the near future. As a postscript, a Boeing 757 scheduled to operate a round trip from Philadelphia to Charlotte later in the day developed a mechanical issue, and 252’s retirement was postponed for another few hours. The final round trip, however, was done with none of the hoopla reserved for flight US 767. As far as we were concerned, we were on THE retirement flight. 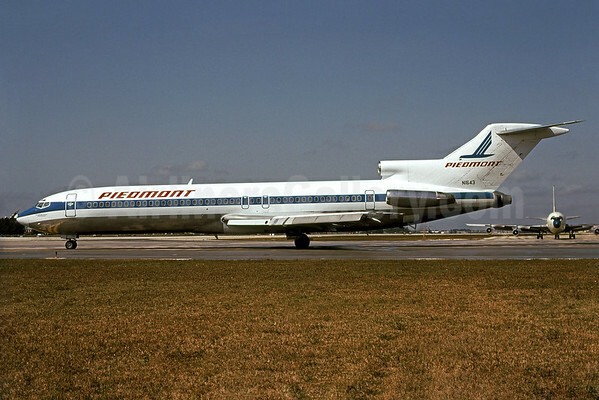 As one more side note, when sister ships 249 and 250 were officially retired from the US Airways fleet, they represented the last airplanes that flew for Piedmont Airlines. 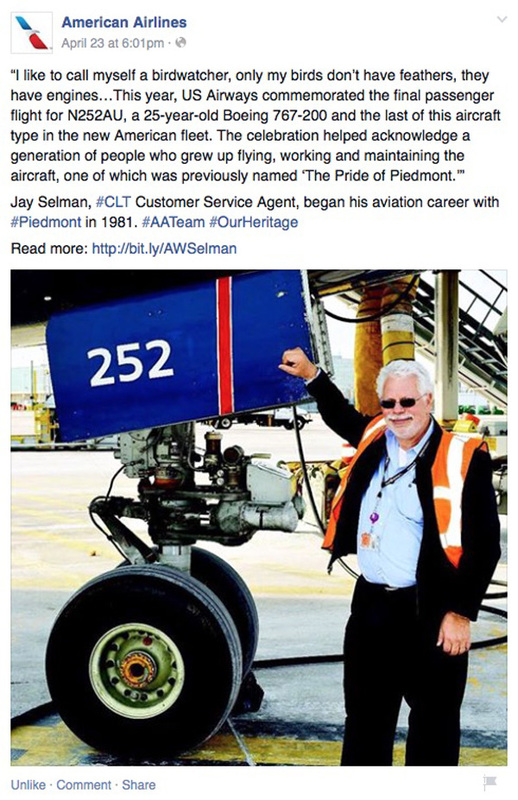 As an original “Piedmonter”, this fact was as significant to me as the retirement of the 767-200. Above Photo: What will be the fate of ship “252”? This entry was posted in Jay Selman's An Inside Look, US Airways and tagged 24765, 767, 767 retirement, 767-200, 767-2B7, Boeing, Boeing 767, Boeing 767-200, Charlotte, CLT, Jay Selman, N252AU, Philadelphia, PHL, the last US Airways Boeing 767 flight, US Airways, USAir on February 14, 2015 by Bruce Drum. American Airlines (Dallas/Fort Worth) and US Airways (Phoenix) continue to negotiate a very delicate merger proposal that could fall apart at any time. Negotiators are rushing to meet a February 15 deadline according to this report by the Wall Street Journal. The proposal, according to their sources, would be a stock deal with AMR’s creditors holding 72 percent of the new company and US Airways stockholders holding the other 28 percent. 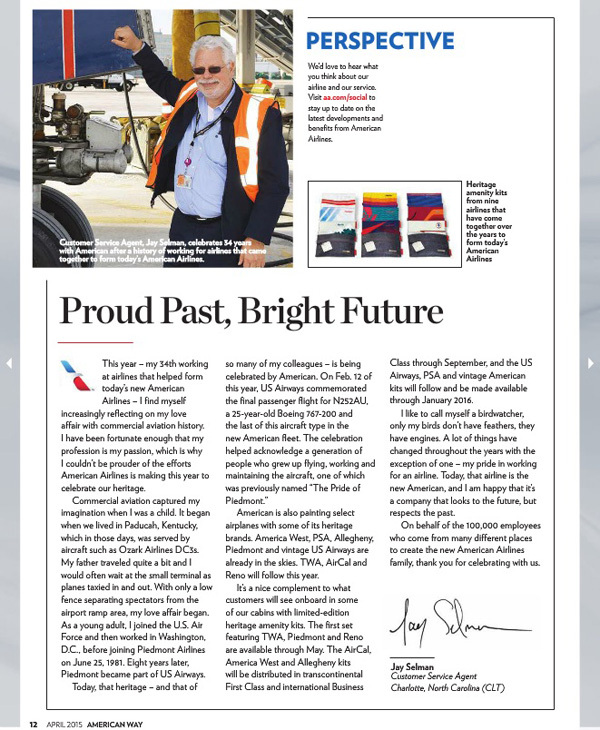 US Airways’ Doug Parker would take control of the “new American”. Still to be resolved, what role will American’s CEO Tom Horton play? This merger, if approved, will create the world’s largest airline. Top Copyright Photo: James Helbock. With US Airways’ CEO Doug Parker taking control, was the American new livery approved by Doug? Will this new brand survive the takeover? The first Boeing 737-800, 737-823 N908NN (msn 39238), taxies to the runway at San Diego. Bottom Copyright Photo: Jay Selman. 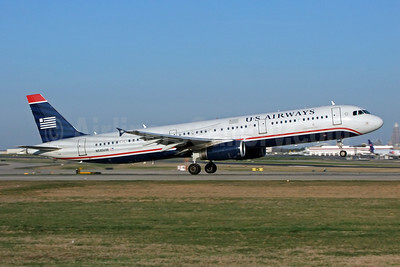 The US Airways’ 2005 livery and brand will be phased out in any merger. Airbus A321-231 N535UW (msn 3993) climbs away from the runway at the Charlotte hub. This entry was posted in American Airlines, AMR Corporation, US Airways and tagged 39238, 3993, 737, 737800, 737823, A321, A321200, A321231, Airbus, Airbus A321, Airbus A321200, American Airlines, aviation, Boeing, Boeing 737, Boeing 737-800, Boeing 737800, Charlotte, CLT, doug parker, Jay Selman, merger proposal, N535UW, N908NN, SAN, San Diego, transportation, US Airways on February 7, 2013 by Bruce Drum. Dynamic Airways McDonnell Douglas MD-88 N880DA (msn 49760) CLT (Jay Selman) (new airline), originally uploaded by Airliners Gallery. 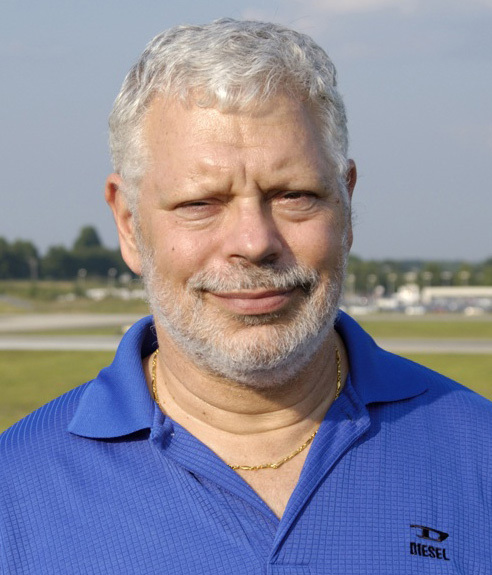 Dynamic Aviation (Bridgewater Airpark, VA) has established Dynamic Airways as a new charter airline. The new airline is planning to start FAA proving flights as it prepares to obtain its AOC. Copyright Photo: Jay Selman. The first aircraft is this ex-Midwest Airlines McDonnell Douglas MD-88 now registered as N880DA (msn 49760, ex N701ME). The airliner is pictured at Charlotte. This entry was posted in Dynamic Airways and tagged 49760, Charlotte, CLT, Dynamic Airways, Jay Selman, McDonnell Douglas, McDonnell Douglas MD-88, MD-88, N880DA, New Airline on September 11, 2010 by Bruce Drum. US Airways Airbus A330-243 N281AY (msn 1041) CLT (Jay Selman), originally uploaded by Airliners Gallery. 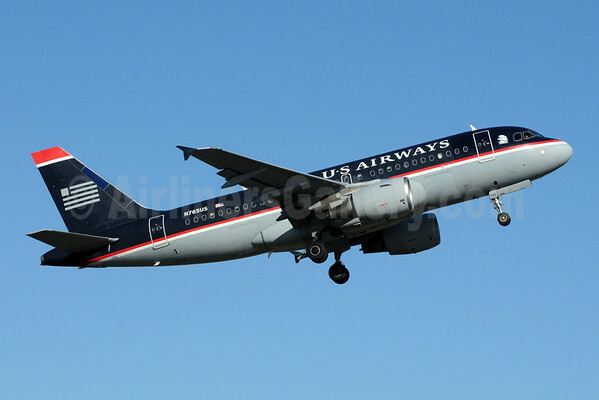 US Airways (Phoenix) has gained approval from the U.S. Department of Transportation (DOT) to lease a slot from United Airlines in order to start the proposed Charlotte-Sao Paulo route. However the Brazilians have yet to give approval for the new route. Copyright Photo: Jay Selman. Airbus A330-243 N281AY (msn 1041) lifts off from the CLT hub. This entry was posted in US Airways and tagged 1041, A330, A330-200, A330-243, Airbus, Airbus A330, Airbus A330-200, Charlotte, CLT, Jay Selman, N281AY, US Airways on August 9, 2010 by Bruce Drum.